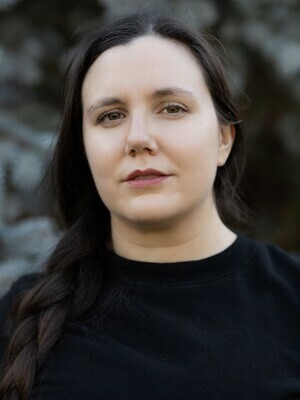 Elissa Washuta is a member of the Cowlitz Indian Tribe and a writer of personal essays and memoir. She is the author of two books, Starvation Mode and My Body Is a Book of Rules, named a finalist for the Washington State Book Award. With Theresa Warburton, she is co-editor of the anthology Exquisite Vessel: Shapes of Native Nonfiction, forthcoming from University of Washington Press. Her work has appeared in Salon, The Chronicle of Higher Education, BuzzFeed and elsewhere. She has received fellowships and awards from Artist Trust, 4Culture, Potlatch Fund, and Hugo House. Starvation Mode: A Memoir of Food, Consumption, and Control. Instant Future-Future Tense Books, 2015. EBook. My Body Is a Book of Rules. Red Hen Press, 2014. MFA, Creative Writing (Fiction), University of Washington, 2009. BA, English, University of Maryland, 2007.